In the recent past, Canada has been in the news for its Federal Elections. And the newly elected Liberal government has shown an inclination towards the flexible immigration policies. This has encouraged a lot of young, talented, and experienced skilled workers to try for Canadian Visa. As of now, there is a huge demand for Software Engineers and Designers in Canada, which is really a great opportunity for the individuals in this profession. Let’s find out more about the demand for this occupation and associated responsibilities with this profile. There are various organizations and employers need qualified and experienced Software Engineers and Designers who could design, analyze, estimate, assimilate and maintain various software applications, operating systems, telecommunication software and embedded software etc. As of now, the demand for Software Engineers and Designers is significant in IT and development firms, Technology consulting firms, and various IT Units across the public and private sector. Responsible for leading and interacting with teams of IT professionals in the software development and other embedded software control systems. 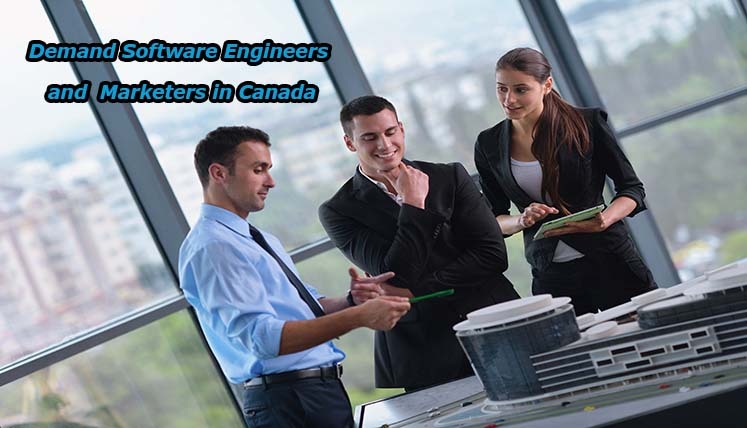 The occupation of Software Engineers and Designer is among the high demand occupations in Canada in 2015, as per the latest report. Moreover, this occupation is also in the high demand occupation list of Quebec province of Canada and the QSWP (Quebec Skilled Workers Program) immigration program’s online application cycle is going to open in January 2016. Hence, anyone applying for QSWP under this particular occupation stands a great chance of getting selected for Canadian Visa. If you are also working as a Software Engineers and Designer in your present country and willing to work and live in Canada, get in touch with a reliable Canadian Immigration Consultancy to commence your Visa Procedure at the earliest. How to Find the Crucial Support & Assistance to apply for Canada Immigration? In order to improve your chances of selection, you are advised to apply simultaneously in both federal Express Entry System as well as the Quebec Skilled Worker program (QSWP) and withdraw one of the applications, on getting an invitation from any of the programs. Moreover, the Quebec Employers and the province can select your profile even from the Express Entry as well. However, apart from the above guidelines and procedures, there are various aspects and internal things, which needs clear understanding before you actually submit Expression of Interest (EOI) in any of the immigration programs or apply for the Canadian Visa under a particular category on receipt of the invitation. In such a scenario, help and assistance from a reliable Visa Consultancy Services can prove immensely vital in understanding the complex immigration procedure and visa categories. Can You Apply in Other Canada Immigration Programs Along with Express Entry System?